Hello friends, I hope you all had an amazing weekend. 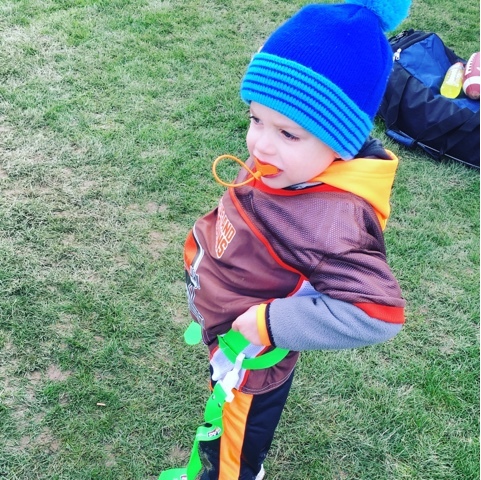 Nicholas had his first flag football game and oh my goodness was it cold!!! Poor sweet thing had every right to complain but he and his team played their little hearts out and I couldn't have been more proud. So excited for the rest of the season and for hopefully, warmer weather!! After a fun week of Spring Break, we got back into our usual routine this morning. As much as I loved not setting the alarm, I think we were all craving the normalcy of our routine. I don't know about you but March flew by for me! First of all, this Winter has been extremely mild (with the exception of this weekend and the upcoming week, brrrrr!) even for Clevelanders. Usually this time of year just drags and drags as we deal with one cold and snowy day to the next but not this year. Winter just seemed to whizz on by. It's been heaven! Let's hope we get through this unusually chilly week and our Spring continues to be a mild one. 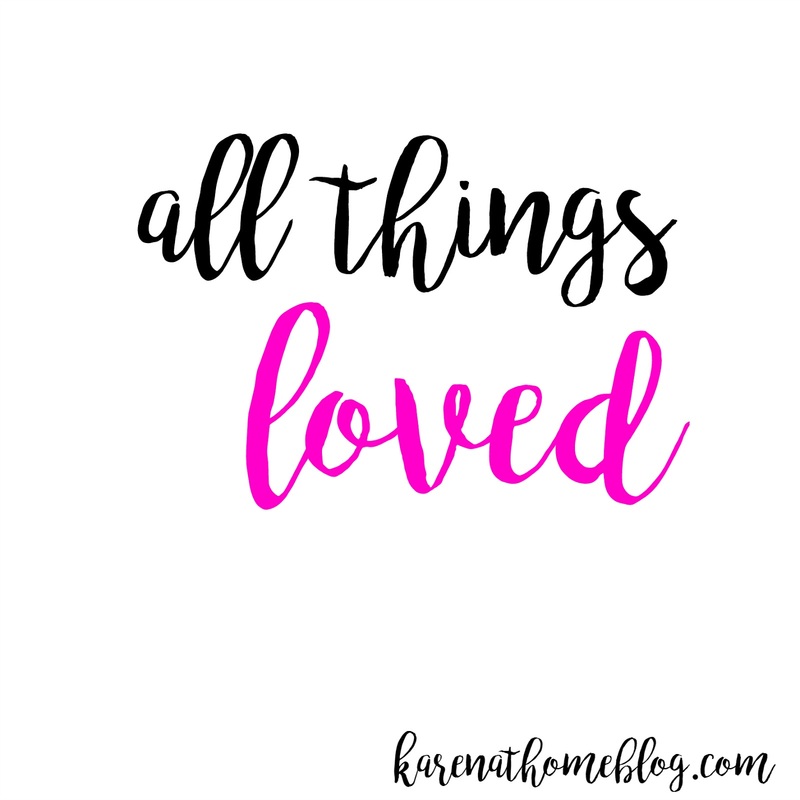 As we are about to kick off yet another month, let's stop a minute to see what I was lovin' in March!!! I was so excited to learn that the Younique's Infamous Touch Liquid Foundation had finally come back into stock this month. This item has been sold out since Christmas and I had been dying to try it after reading so many rave reviews on social media. 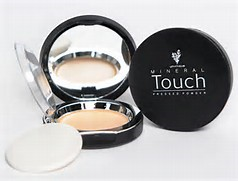 I had also recently tried their Touch Pressed Powder and was so impressed that I knew that this product would be as equally impressive if not better. Well, it certainly did not disappoint!!! The color of both the liquid and powder foundation could not have matched my skin tone any better. Nothing drives me more nuts when a foundation gives you that fake "orangey" look. The coverage and color were absolutely perfect! And wearing them together was just the a match made in heaven. I highly recommend contacting your local Younique Consultant to try out these amazing products! I promise you won't be disappointed. 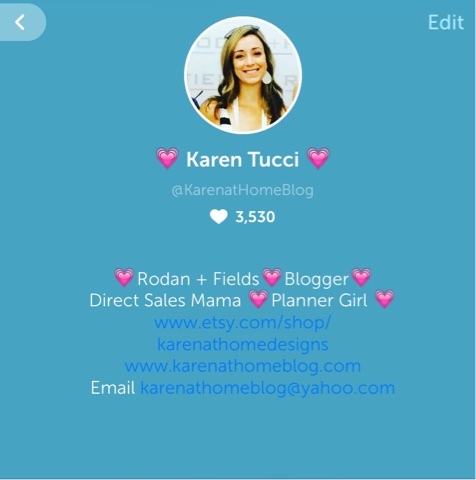 I decided in March to embrace the whole Periscope thing again. For awhile, the concept just intimidated me, throw in my phone constantly chirping with alerts, and I just shut the entire thing down and took a step back. It felt good! But now I am back for round two and approaching the whole idea with an open mind. I have been watching a lot of scopes lately in preparation and I feel more at ease with the whole "talking live in front of people" concept. And I also found this amazing gadget, the Selfie Ring, to give you more an "airbrushed filter" look as you scope. I shared earlier this month how much I have been enjoying the Aftership App and it's still my #1 favorite new app of 2016. If you love on-line shopping, and what girl doesn't? Then you need this App in your life. 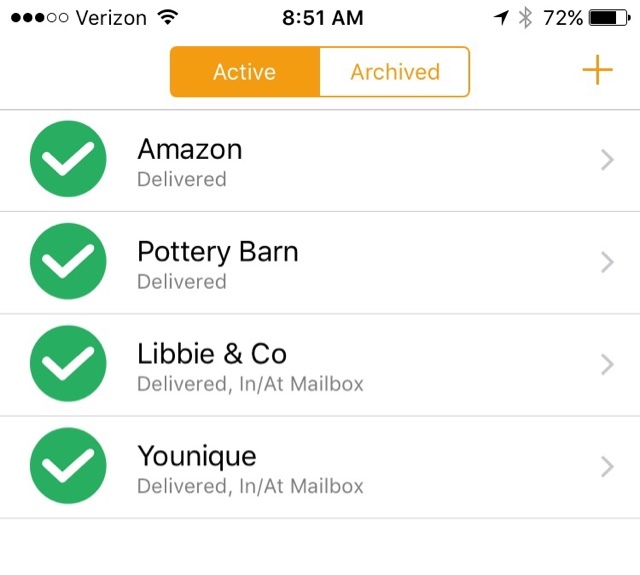 All you need to do is add the tracking number from all of your on line orders and this little app tracks all of your in line shopping shipments all in one place. I have also been using it for items I ship out on eBay or for my businesses. If I want to track a package to be sure it arrives, I punch in the tracking number and I am continuously alerted throughout the shipping process. It's genius! 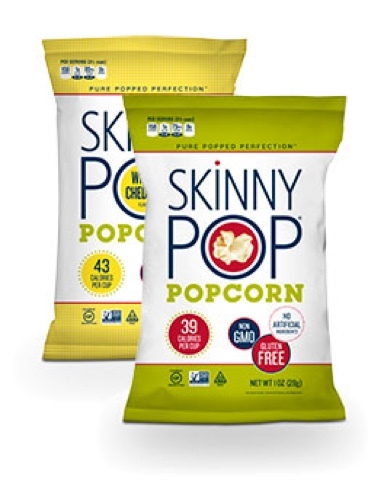 My neighbor came over the night of The Bachelor finale and introduced me to the world of Skinny Pop. Yum!! Where has this been all of my life? I am a huge popcorn girl and this was definitely right up my alley. I sent my neighbor a text later that week asking her if the popcorn was still considered "skinny" if you ate half the bag. I am going to hope for a yes on that one! 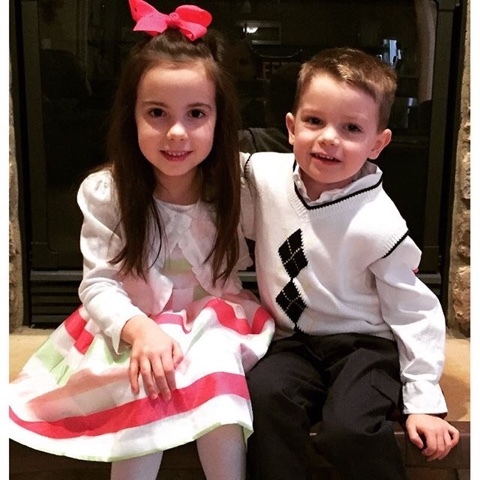 We had a very Blessed Easter and Spring Break! I loved spending some quality time with my babies with no school, no major commitments and no stress. Definitely some needed R and R.
Hope you all had an amazing March! I am ready to kick off April with new goals and hopefully some warmer weather. I need to try that popcorn since my husband and I eat so much of it. We love it for a late night snack. I tried the Periscope and lost interest, but I'm really into Snap Chat these days! I just recently sampled that popcorn and now I'm scared to buy an entire bag! 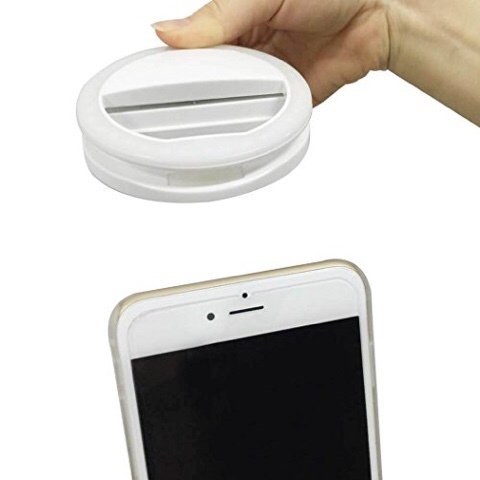 I started using the shipping tracker and love that but I have not figured out that selfie ring!! So far it's totally throwing lots of shadows.